Asiatic dayflower (the common name given to several plants in the Commelina genus) is one of my favorite wild edibles. Never bitter, and with hint of pea-like sweetness, this common garden weed offers four edible parts that are in season for several months. Don’t let the common name confuse you: dayflowers have nothing to do with daylilies, which are in a completely different genus (Hemerocallis). What the two have in common, however, is that each individual flower only opens for one day. So if you head to your best Commelina patch at sundown, there won’t be any of the lovely flowers for you to gather (the other parts will still be good, though). Dayflowers prefer partial shade and moist soil. They often grow at the edges of paths, and usually in gardens, parks, and other habitats where humans have been busy. It doesn’t appear until the warm temperatures of late spring, but it is in season all the way through late summer and sometimes early fall. The first thing you’ll probably notice about Asiatic dayflower is its flowers, which look like tiny irises. With Commelina communis, the two upper petals are blue to purplish-blue, and the third lower petal is white. 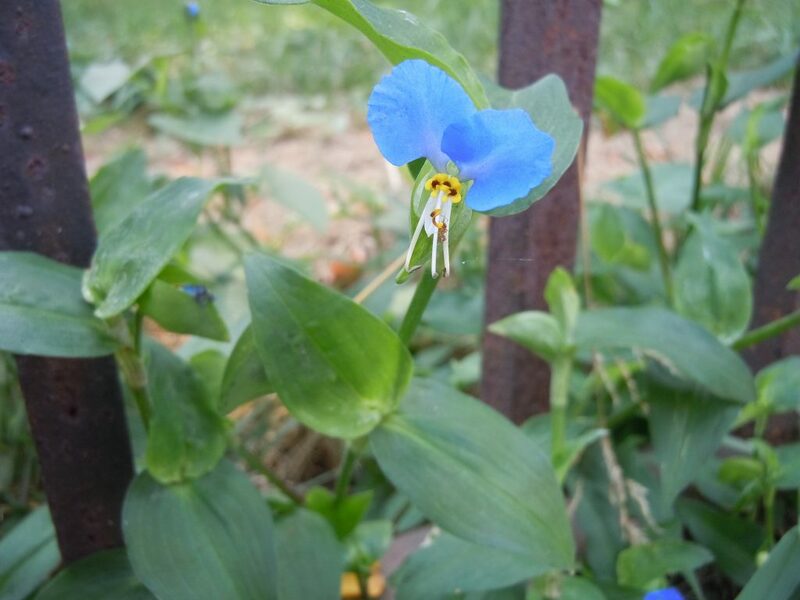 In several other Commelina species all three petals are blue). 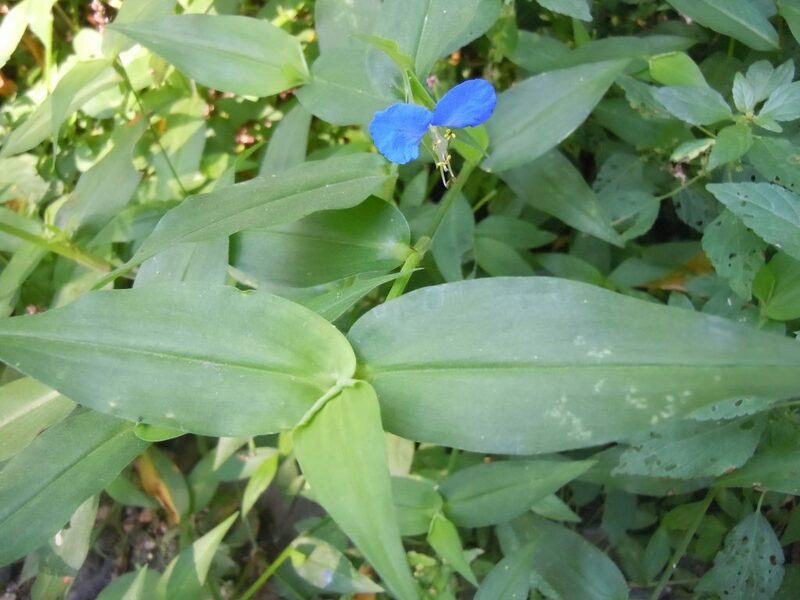 Commelina leaves are 1 to 4 inches long, lance-shaped, with smooth margins. They can be anywhere from 1/2 to 1 1/2 inches wide, and are sometimes slightly hairy, especially at the stem-clasping bases of the leaves. The juicy, almost succulent stems are swollen at the nodes where the leaves join the stems. Individual stems can grow to be 2 1/2 feet long, but because of the plant’s sprawling growth habit they rarely have that much height unless they are clambering over other nearby plants. Asiatic dayflower’s seed capsules look like one side of a heart shape. Inside are one or two seeds that look a bit like miniature peas or beans. Asiatic dayflower is a widespread weed that I’ve gathered in North America, Europe, and the Middle East. You are not endangering these species by harvesting them. However, if you want to encourage a particularly lush patch, just be careful not to yank out the plants’ shallow root systems. Instead, just break off the top several inches of each stem. When harvesting, try to break off a stem close to the ground by gently bending it. If it bends but doesn’t easily break, it will have a tough texture. Keep working your way up the stem until you reach that snap off point (this is similar to bending an asparagus stalk until it snaps in two with one end being the tenderest end and the other being the more fibrous). From the snap off point to the tip, the stems will be just as good as the other parts. Below that point only harvest the leaves because the lower stems may be unpleasantly tough. The little “peas,” the immature, green seeds within their half heart-shaped sheaths, are one of the most delicious parts of Asiatic dayflower, but so tiny that they’re not worth attempting to harvest in quantity. Enjoy them as a trail nibble, or “shell” however many of them happen to be on the stems you harvest and enjoy with the rest of the plant. I’m not a huge fan of the texture of the seed sheaths, and usually leave these out of my recipes even though they are technically edible (there’s a difference between edible and good). The leaves, succulent stems, flowers, and immature seeds are good to eat at any time during dayflower’s growing season. They are great raw, but also worth trying steamed and stir-fried. For the best mouthfeel, the stems should be chopped before they are eaten. 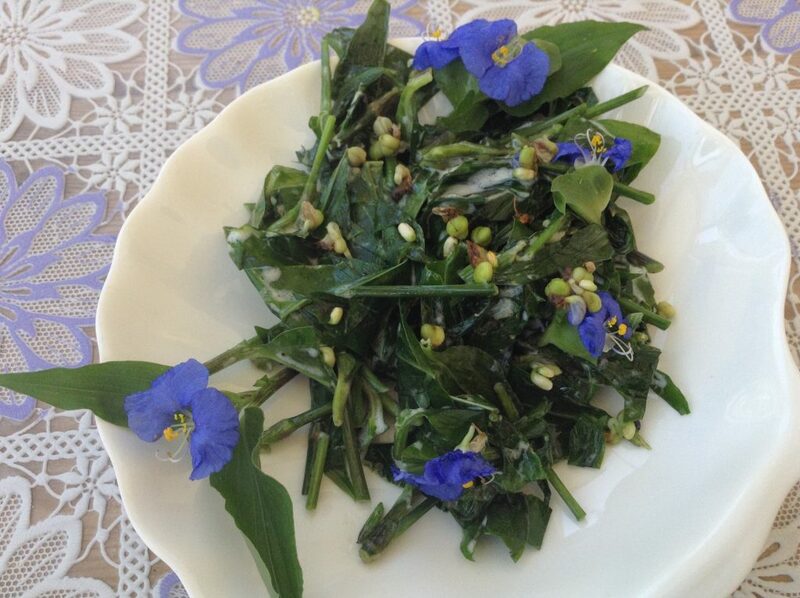 You can preserve Asiatic dayflower greens (tender stems and all) by blanching and freezing them. Asiatic dayflower contributes both greens and “peas” to this gentle, satisfying dish. It makes a good side with roast chicken and root vegetables. But don’t drive yourself crazy trying to harvest too many of the tiny green seeds – just use whatever shows up with the stems and leaves you pick. Remove the “peas” from their half-heart sheaths and set aside (discard the sheaths). Pinch off and set aside the flowers. Chop the stems and leaves. Melt the butter in a pan. 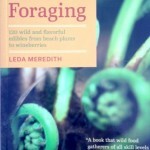 Add the the water and the dayflower leaves and stems and cook over medium heat, stirring constantly, until the leaves are completely wilted, the stems turning tender, and the water evaporated. Add the “peas” and cook for one minute more. Add the cream and the nutmeg and stir for just a few seconds until the sauce thickens. Remove the pan from the heat and stir in the mint and salt to taste. Serve garnished with the flowers. Hi Leda. I ran across some of these lovely flowers and I knew there was something special about them. Could you please share the nutritional value of this plant, and perhaps the medicinal benefits and/or precautions?